Connections make networks possible. They open up the world, making new destinations available to customers and creating new revenue opportunities for your business. 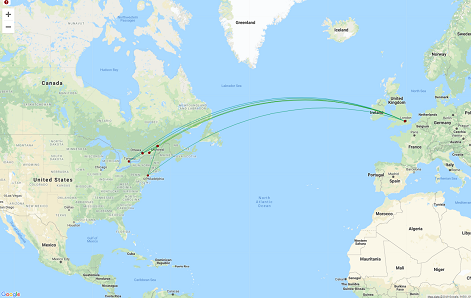 The Connections module can dynamically show you all possible global connections for all airlines as they occur in real time and plot these on a map to highlight key routes and hubs. 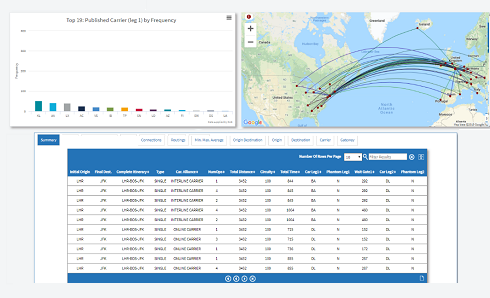 Global connections analysis help you monitor performance and evaluate routes based on a Quality of Service Index (QSI) and analyse how airline service changes impact connections at any airport. Gain a competitive advantage in a market that is expanding faster than ever before to answer the following questions. How do airline services impact connections at an airport? What is the impact of increasing or decreasing capacity on certain routes? What carrier connections could I be missing at an airport? 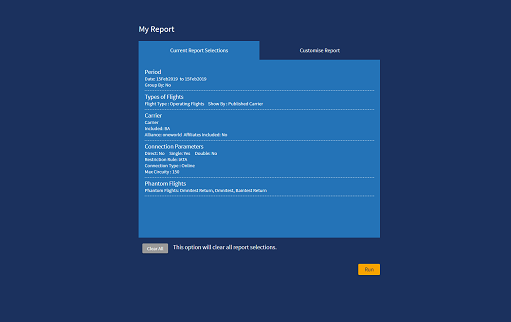 Can I customise QSI to analyse my flights? Which airport connections are affected by schedule changes? Build both single and double connections for your ideal route. See analysis with different MCTs, phantom flights and potential airline partners. Plot potential new routes and connections on an integrated map. 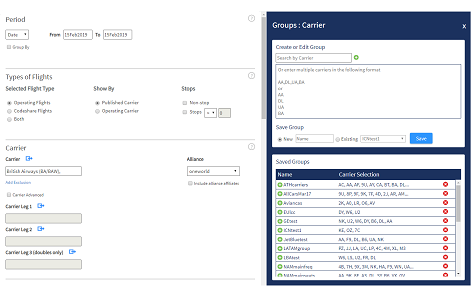 Custom QSI (Quality of Service Index) user defines the weights for each quality metric.